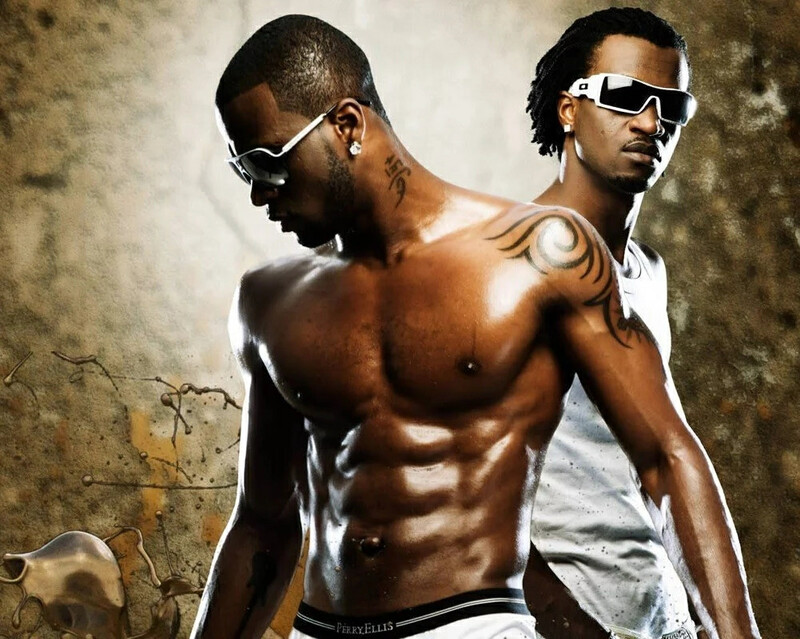 There is no use waiting for new P-Square music, as the group has broken up for good. If you want to know what happened between the two brothers, then check out this article, where we will tell you the real facts about the P-Square split. The truth might shock you! It is not like the Okoye brothers have never fought before. The two have threatened two break up several times before (at least three times, but who is counting? ), but each time they made up and continued with their career. So what could have happened this past September? It has been more than half a year since the conflict between the two brothers. There have been no major developments on the story until about a week ago, when Paul decided to give an interview to Showtime Celebrity, in which he explained what happened from his point of view. You can find the full interview on Vanguard. From what we have been able to gather, Paul does not like talking about what happened. He shared that he did not appreciate the questions about his personal life, particularly about the relationship with his brother. That said, Paul admitted that he took his brother’s exit from their group to heart. For months, he could not do anything, as he felt really low. Nevertheless, Paul has since bounced back and returned to his normal state. When asked about whether P-Square will ever get back together, the musician said that it was not him who left the group, and he has waited long enough for his brother to return. Alas, Peter did no such thing, which means that there is probably no future for P-Square. Now that we have talked about Paul’s side of the story, let’s consider Peter’s for a moment. Why did he decide to leave the group that has brought him immense popularity? Well, the short answer is that Peter decided that he no longer wanted to be in a group with his brother, so he quit. The long answer is that Peter had a very solid reason for leaving the group. According to various reports, both his twin brother Paul and their older brother Jude have behaved extremely inappropriately towards Peter and his family. Apparently, they were stirring up all kinds of drama and even threatening the safety of Peter’s wife and kids. All three brothers were seen fighting in public, as well as on their social media, which only heated the public’s attention. Later, when the anger died down, the family lawyer had to come out and say that nobody was at fault for what happened, and that all that happened was because of too much emotion and passion. Other than that, there is little else known about the conflict and its causes. Even though quite some time has passed, it is evident that P-Square is not very likely to exist ever. P-Square started out as a young brother duo of Peter and Paul Okoye, when the two of them were in school, however, back then, they were not yet known as P-Square. For some time, the brothers even were a part of a quartet that sang a cappella (can you imagine that? ), but, as you can see, it did not last long. At the dawn of the twenty first century, Peter and Paul finally realized that they did not need anyone else to become successful musicians and decided become a duet. Before they settled on P-Square, they tried the names P&P, Double P and Da Pees. After winning Grab Da Mic in 2001 and releasing their debut album in 2003, P-Square began gaining immense popularity. Over the next decade, the dynamic twin duo managed to become one of the most successful Nigerian musicians, with fans all over the world. For many years, the two were the richest musicians in the country, raking money from their tours and music sales. If you have stopped following the duo after their breakup, then you might be surprised that two brothers are still doing very well, even on their own. Of course, they are not quite as popular separately as they were together. As we have mentioned previously, it took a long time for Paul Okoye to return to the studio and create music on his own. However, time has passed, wounds have healed (or at least scabbed over), and Paul is back again. These days, the man performs under the name RudeBoy or King Rudy. Even without his brother, he manages to gather large crowds for his concerts, and his songs get thousands of hits. Paul also enjoys spending time with his wife and children. If you want to follow the life of King Rudy, you can find him on Twitter and Instagram @rudeboypsquare and on Facebook and Snapchat @rudeboyfire. It is interesting to see that he still has not dropped the P-Square part from his socials. As for Peter Okoye, he wasted no time on building his solo career. Despite the fact that he was the one who initiated the breakup, Peter, or Mr. P, as he is now known, often uses the name P-Square, as can be seen on his concert posters. Just like his brother, he is making his own music, touring different countries and seemingly enjoying the luxurious life of a solo artist. You can find him @peterpsquare on Twitter and Instagram. Nevertheless, he is far from being as popular as P-Square once was. Overall, it seems like this breakup has been a long time coming. Tensions between the brothers have been building up over the years, and 2017 just became the year when everything fell apart. Neither of the brothers feel like talking about this anymore, so it would be best if we leave it alone as well. Whether P-Square ever gets back together or not, we hope that both Peter and Paul have a bright future. 0 Response to "The truth Behind P-Square’s Breakup – Read Their story"